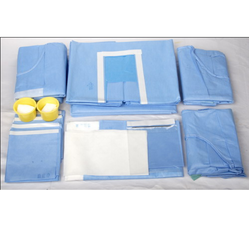 Importer & Supplier of Disposable Surgical Kit. Our product range also comprises of Tie Masks, Ear Loop Masks and Shoe Covers. We offer Disposable Surgical Kits to our clients. They are fully disposable surgical kits. Our quality experts test our range on the various quality parameters and make sure that it is safe & reliable to use. We offer our range at industry leading prices. They are appreciated by the customers for their precise design, perfect stitching, and durability. Looking for Disposable Surgical Kit ?